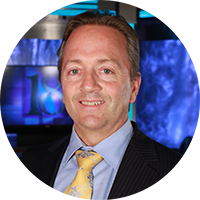 Marc Elliott has been the Vice President and General Manager of WLFI TV since 2011. He oversees the operation of the News, Production, Promotion, Engineering, Sales and Administrative Departments of the award winning Lafayette CBS affiliate. Over 30 years in the broadcast industry, Marc started his career after graduating from Ball State University. He began by selling advertising in Indianapolis in 1987. After seven years at WISH TV, he was promoted to National Sales Manager and later Station Manager at WOTV in Battle Creek/Grand Rapids, Michigan. Marc returned to Indiana in 2005 as Director of Sales at WNDY TV before his move to WLFI TV in West Lafayette. Marc has served on a number of Board of Directors, including the Marquis Foundation, the Indiana Broadcasters Association and as President of Leadership Lafayette. Proud to be with his wife Lynn for over 20 years, he strives to be the best father he can, to his daughter and son, 13 & 11. Marc continues to promote positive community leadership throughout Greater Lafayette in his role at WLFI.